by Dee Wallander, a 2014 Judge K.K. Legett Fellow at the Washington Legal Foundation and a student at Texas Tech University School of Law. In an overlooked but practically significant decision from its October 2013 term, Executive Benefits Insurance Agency v. Arkison, the U.S. Supreme Court clarified the procedural impact of its 2011 bankruptcy decision, Stern v. Marshall. In Stern (a case that received more fanfare for its underlying facts—which featured the late model Anna Nicole Smith—than for its legal issues), the Court narrowly held that a bankruptcy court can preside over actions arising from bankruptcy, but cannot hear state-law claims independent of the bankruptcy action. More specifically, Stern held that Article III of the U.S. Constitution bars bankruptcy courts from adjudicating counterclaims to proofs of claims, even though such actions are permissible under 28 U.S.C. § 157 as “core” traditional bankruptcy claims. Despite the Court’s attempt to rule narrowly in Stern, lower courts’ varying interpretations of the decision have created confusion in the bankruptcy system. Justice Thomas, who wrote the unanimous Executive Benefits opinion, carefully avoided a detailed analysis of Stern by discussing only the narrow statutory question of how federal district and bankruptcy courts should procedurally handle so-called Stern claims. Shortly before filing for Chapter 7 bankruptcy in 2006, Bellingham Insurance Agency, Inc. (Bellingham) ceased operations and transferred certain assets to a new corporation, Executive Benefits Insurance Agency (EBIA). Peter Arkison, Bellingham’s bankruptcy trustee, filed a complaint in the bankruptcy court against EBIA alleging fraudulent conveyance of assets from Bellingham to EBIA. The bankruptcy court granted the trustee summary judgment and the district court affirmed upon de novo review judgment for the trustee. While EBIA’s appeal was pending in the U.S. Court of Appeals for the Ninth Circuit, the Supreme Court decided Stern. EBIA moved to dismiss its appeal for lack of jurisdiction in light of Stern, arguing that the bankruptcy judge’s entry of a final judgment on the trustee’s fraudulent transfer claim was unconstitutional. Applying Stern, the Ninth Circuit affirmed the district court’s decision. The Court of Appeals held that a fraudulent conveyance action is subject to Stern and it further “concluded that EBIA had impliedly consented to the Bankruptcy Court’s jurisdiction, and that the Bankruptcy Court’s adjudication of the fraudulent conveyance claim was therefore permissible.” Finally, the Ninth Circuit decided that a bankruptcy court can issue proposed findings of fact and conclusions of law, subject to a district court’s de novo review, in what are known as core bankruptcy proceedings where Article III bars the bankruptcy court from entering final judgment. 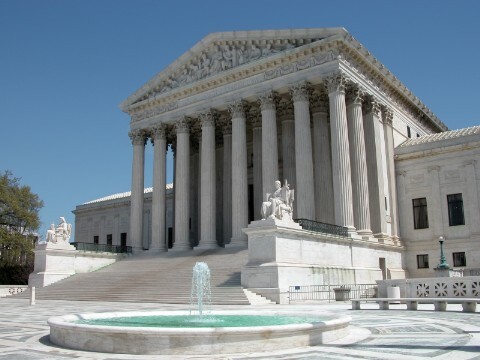 One key issue in the Supreme Court’s review of Executive Benefits was whether a bankruptcy judge may issue a final judgment on a “non-core” bankruptcy issue when the litigants consent to the judge’s ruling. A second central issue before the Court was whether after Stern, a bankruptcy court may conduct proceedings involving “Stern claims” (i.e. core claims where adjudication by the bankruptcy court is unavailable) as non-core proceedings, and submit proposed findings of fact and conclusions of law to the district court for de novo review. The Court found that the severability provision in a statutory note to the bankruptcy statute (28 U.S.C. § 157) solves this problem. When a Stern claim is at issue, it held the bankruptcy court is not permitted to enter final judgment on that claim even if the claim is labeled as a core claim under the statute. In the Stern situation, the severability provision allows bankruptcy courts to apply procedures for non-core proceedings to the Stern claim. Hence, when Article III prohibits a bankruptcy court from entering final judgment on a core bankruptcy claim, the bankruptcy court can still issue proposed findings of fact and conclusions of law that a district court must then review de novo. Consequently, the Court affirmed the Ninth Circuit, holding that it was permissible for the bankruptcy court to hear the proceeding and offer proposed findings and conclusions for de novo review and that the district court’s de novo review cures any potential defect by the bankruptcy court. Executive Benefits neither defined what constitutes a “Stern matter” nor did it decide the issue of consent, which the Court reserved for another day. Executive Benefits did, however, illustrate the authority the federal bankruptcy law provides to bankruptcy judges and reconcile that authority with the limitations provided in Article III of the Constitution. The decision provides a practical solution that allows bankruptcy judges to treat Stern claims like non-core claims. Executive Benefits should also alleviate the difficulty of post-hoc challenges to a bankruptcy court’s adjudication power. Lastly, Executive Benefits continues the trend of confining the power of bankruptcy judges—who do not sit as Article III courts. Executive Benefits did not resolve all the issues Stern left open, but it did clarify how to process core claims that fall into the “Stern” category.